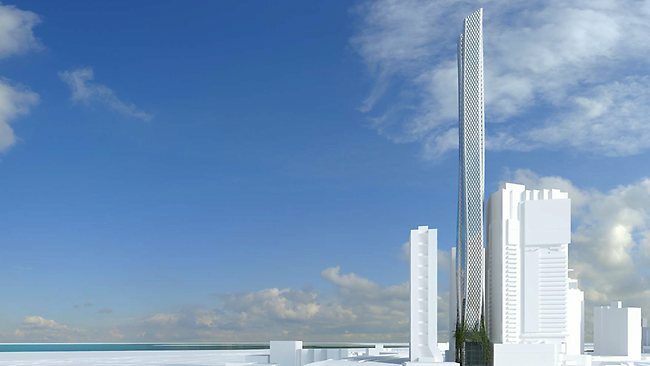 LORD Mayor Robert Doyle has launched a stinging attack on Planning Minister Matthew Guy's approval of a big new tower development on Southbank more than 100 metres taller than the council's preferred height for the site. Earlier this month Mr Guy approved the 72-storey, 238-metre tower at 54 Clarke Street Southbank, the day after the council was briefed on the bigger proposal for the site. The council will now consider challenging the approval at Victoria's planning tribunal. "One of the problems with ministerial determinations is they are done on a case by case basis and therefore it is very hard to take account of how the whole area develops, that is one of the reasons we have problems down there with setbacks between towers," Cr Doyle said. He said good architecture was not an argument to dismiss strategic planning. "This is more than twice the recommended height in the Southbank structure plan," he said. "We were very strong objectors when this proposal was 180 metres, this is 240 metres," he said. He said the council should have been briefed earlier on the new plans for site. "That is something that I don't think has been very well handled by the department, if they have had these plans since October, why did we not get shown them until the fifth of February and presumably the department is advising the minister to sign them off because that is what he does the next day," he said. Cr Doyle also took a swipe at urban sprawl after a new report released on Wednesday showed councils on Melbourne's urban fringe required almost $10 billion in infrastructure spending. "Yes we want to stop that sprawl at the edges of the city, but the corollary of that doesn't have to be 230-metre buildings in Southbank," he said. "We are not against height, but the problem with this (Clarke Street) is this goes right off the scale. Both directions are not good for Melbourne, this scattering of very very big buildings and sprawl at the edges and the real key to smart development lies between the two," he said. He said while planning was an important economic driver, it had to be part of a "coherent plan". Mr Guy said if communication between Melbourne City Council and the Department of Planning needed improvement he would be happy to look at it. He said the plans for the Clarke Street development had been around "for some time", before he approved them. Mr Guy said he approved the large Southbank development because it meant "one fewer apartments being built in Melbourne's quiet suburban streets" and that was what he was elected to deliver. Victoria's planning minister said he was surprised the Lord Mayor was commenting on urban sprawl when the City of Melbourne was 35 kilometres from the nearest growth area. "It seems a bit self indulgent to me," he said. In my humble opinion, I would approve this for the simple fact that this is a stunning design! Brilliant use of a vertical garden in the design of the podium levels. Practice Day hearing at VCAT today for this one. It is far from certain taht this will be approved by VCAT as it is a major variation to the reccomended heights and located on the edge of Southbank. It will be very interesting to see if VCAT supports the ministers enthusiam for skyscrapers. Hope it gets the green light as well, absolutely love this design! Please dont let us down VCAT..
As far as I know/can see, Future State don't have anything this big under thier belt, so I hope they can get the sales and get it built if it is approved. Planning permit app has been registered. Use and development of the land for dwellings and food and drink premises, including varying the provisions within the design and Development Overlay Schedule 60. Love the shape of this one. Very futuristic. Isnt this one still at VCAT though ? Its creators have labelled it an ''elegant'' urban icon, but a damning Melbourne City Council report has warned a new apartment building almost as tall as the Rialto would oppress and stifle the neighbours. The 72-storey Southbank mega-tower was previously approved by the state government before changes to planning controls saw the developer Urban Matrix sent back to the drawing board. Months later council staff still do not like the plans for 54 Clarke Street, which are currently before the Minister for Planning. A report to be presented to councillors on Tuesday said the tower, at almost 240 metres high, will cast a shadow on ''a great number'' of public spaces and dominate the view of those who live in nearby south-facing Bank Apartments. ''The sense of containment would be substantial and oppressive, particularly for dwellings at the lower levels,'' the report found. But those conclusions have been fiercely rebuffed by the building's designer BKK Architects. Director Simon Knott said the tower will instead become a landmark for those driving along the West Gate Freeway. ''Because it twists as you move around that bend, the whole building will twist and turn. It's almost like the building is alive,'' he said. Mr Knott said they had also done computer modelling which showed the south-facing apartments in the neighbouring building would still retain extensive views, including of the Royal Botanic Gardens. Bank apartments was built with balconies right up against the boundary! What did the buyers of these apartments expect would happen when a tower went up next door? The main problem with the proposed tower is that it does exactly the same thing with windows close to the boundary with the property to the west which is also a potential tower site. Should be setback 5 metres from the boundary but I think this would tunr an already marginal development into uneconomic. Nicholas has a point about the west boundary however whilst the west boundary setback is less than optimal there is a laneway on that boundary which obviously goes some way to providing a setback. In a lot of ways it comes down to the "prescriptive versus performance based outcome" argument. The Bank Apartments were built right on the north boundary and 54 Clarke has responded with an average setback of 8.5metres on its side of the boundary. Following on from that concession and the necessity to have an economical development outcome, 54 Clarke has increased in height and there has been a flow on effect that has reduced the setbacks on other boundaries. The Bank Apartments is on a 1481m2 site, the site to the west is 1248m2 and 54 Clarke is 598m2, the question should be asked, is a fixed setback distance for all sites an equitable solution? Is there an argument that the setbacks should have some relationship to the site area? The numbers below show that fixed setbacks result in smaller sites having significantly reduced site coverage on a percentage basis, than a larger site, the contrary argument will be that if you want to have a larger site coverage purchase the larger site. A prescriptive based 5 metre outcome obviously makes it much more difficult to develop on smaller sites. In the context of Clarke St a little bit of flexibility on the western boundary where a larger site exists seems to be a sensible outcome that will result in an innovative and progressive development being realized on Clarke. The council took the original 240-metre proposal to VCAT, after Planning Minister Matthew Guy approved it in February this year. While the case was being heard the Amendment was applied, so the developer, BBK Architects, has lodged an almost identical proposal, knowing it could not be appealed if Minister Guy approved it again. The council has again opposed the tower, but is left concerned that it can only hope Minister Guy will heed its reasoning. Because the tower is over the 10,000 sqm threshold, the decision on the tower will ultimately lie with Minister Guy and, as reported on page 1, there are no longer rights for any third party to appeal his decision. How do you know it hasn't already been approved if they're advertising expressions of interest? 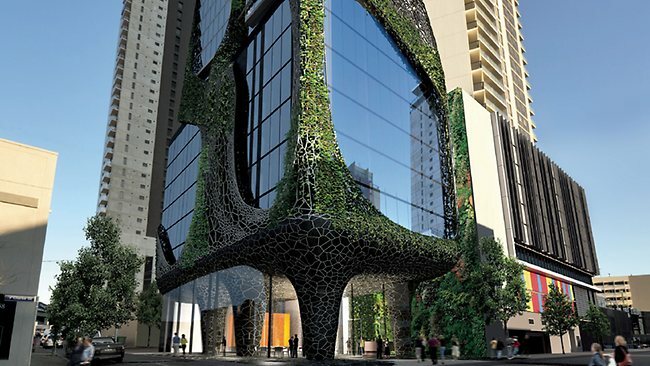 A SUPER-thin, 73-storey apartment tower with a design twist has been given the green light for Southbank. Planning Minister Matthew Guy said the tower, with 256 apartments, would prove a stunning addition to the inner-city skyline.